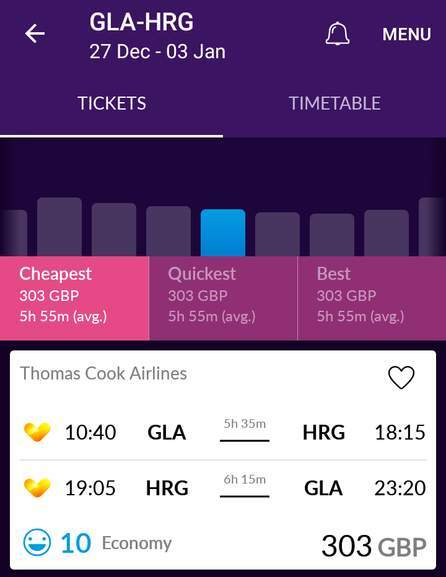 Been on the lookout for a New Year getaway and the flights have dropped £100 in the past week to Egypt. Red sea is great this time of year, hot through the day with loads of activities and pleasant at night. Diving is unbelievable here, even snorkeling is great. Yes it is cheaper throughout the year but this combo gets you 5* All Inclusive over New Year where flights are over inflated due to demand and holiday times. Doing some research, the resort's put on a Hogmanay specials so should be plenty entertainment. Book your excursions here to save loads on the tour tout prices. Really cheap here pre booked!! 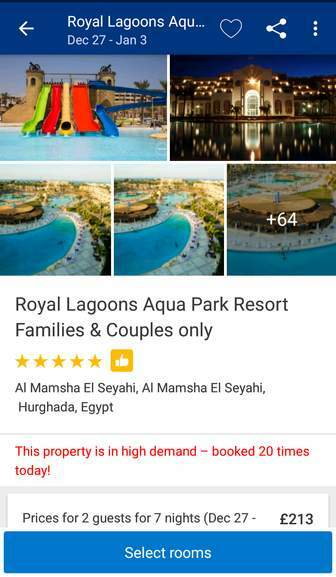 Nothing special about this price, I'm off to hurgada Friday £370 all …Nothing special about this price, I'm off to hurgada Friday £370 all inclusive 5* tui. Is this with flights for 1week over the holiday New Year Period? I think not! Of course there are cheaper flights and deals when its not in the holiday season but what's the point of pointing it out? 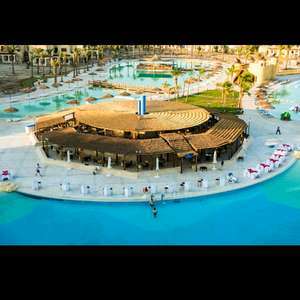 I've done Sharm for 10days 5* 9pools 7restraunt All inclusive for £275pp but has nothing to do with this New Year deal. Not sure i fancy getting blown up. Holiday pirates has this at £493 so it pays to book individually. Its goin nuts over there . But good exchange rates . Read the fco . “Please note that there is a compulsory New year Gala Dinner supplement of 80 USD per adult. (1 child aged 5 years and under free from 6 years till 12 years will be charged USD 40. 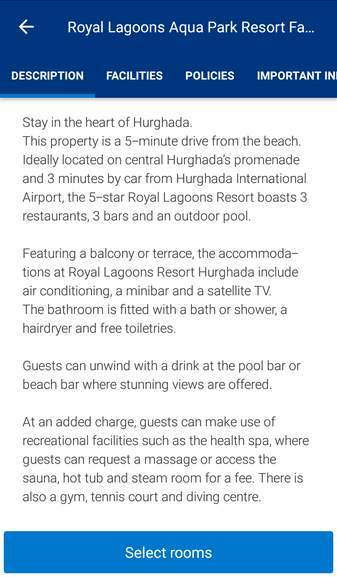 Nothing special about this price, I'm off to hurgada Friday £370 all inclusive 5* tui. Is this with flights for 1week over the holiday New Year Period? I think …Is this with flights for 1week over the holiday New Year Period? I think not!Of course there are cheaper flights and deals when its not in the holiday season but what's the point of pointing it out?I've done Sharm for 10days 5* 9pools 7restraunt All inclusive for £275pp but has nothing to do with this New Year deal. LOL what's the "Holiday New Year Period" got to do with anything? It's the same month as I'm going and only 1 day of your amazing deal is a bank holiday so you've still got to book time off work? If you're saying it's a deal because you're desperate to be there at new years then fine but I'm saying price wise it's not. So there. So you won't be going to Manchester, London, Barcelona, Paris, Las Vegas etc either then? So you won't be going to Manchester, London, Barcelona, Paris, Las Vegas …So you won't be going to Manchester, London, Barcelona, Paris, Las Vegas etc either then? Isolated incidents, Egypt is full of unhinged morons. LOL what's the "Holiday New Year Period" got to do with anything? It's the …LOL what's the "Holiday New Year Period" got to do with anything? It's the same month as I'm going and only 1 day of your amazing deal is a bank holiday so you've still got to book time off work? If you're saying it's a deal because you're desperate to be there at new years then fine but I'm saying price wise it's not. So there. Its got to do with the price!! Generally prices rise for this time (40-60%) due to kids being off from school and a large percentage of the population being off work or having to take a few days holiday to get the whole festive period off. Not everyone has the luxury to book out with school holidays. Must live in London then. Love how petty and single minded your comments are Its got to …Love how petty and single minded your comments are Its got to do with the price! !Generally prices rise for this time (40-60%) due to kids being off from school and a large percentage of the population being off work or having to take a few days holiday to get the whole festive period off. Not everyone has the luxury to book out with school holidays.